Our Team - GES - Geotechnical & Environmental Services, Inc.
Personable And Experienced Team Focuses On Service. From underground oil tank removal to environmental drilling, the GES team prides themselves on the relationships they build with their clients and believe working together is the most effective way to provide environmental services. 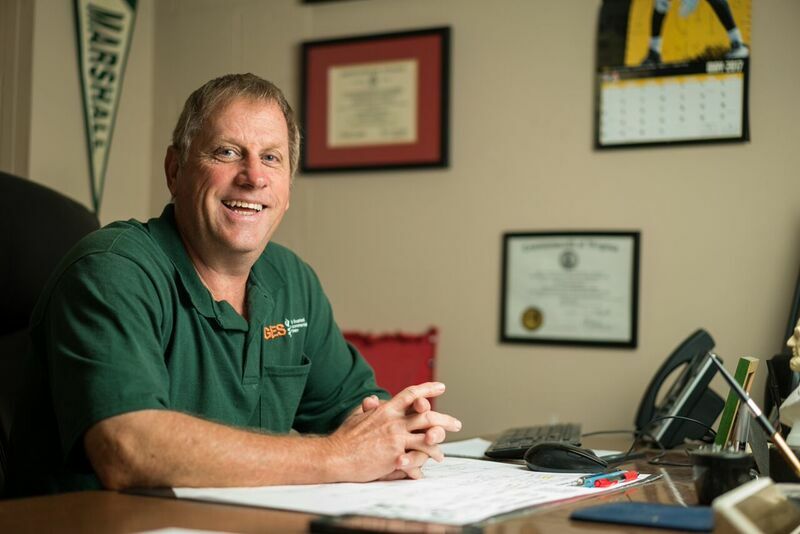 Wilton Fansler III has been providing environmental consulting services since 1986 and serves as the Principal Environmental Scientist for GES at the Verona, Virginia office. Wilton received his Bachelor of Science degree in Biology from Bridgewater College in 1981 and his Master of Science in Biological Sciences from Marshall University in 1984. Wilton holds certifications as a Certified Environmental Auditor (CEA), Certified Environmental Inspector (CEI), and Certified Environmental Manager (CEM). He has completed the OSHA Hazwoper 40 hr./8 hr. Health and Safety Training and is affiliated with the National Ground Water Association. His experience includes responsibility for and project management of environmental site assessments (ESA), environmental audits, Underground Storage Tank (UST) release investigations, contamination characterizations, corrective action plans, wetland identification, delineation and assessments, landfill investigations, supervision of soil and groundwater remediation, and supervising geotechnical and environmental drilling investigations. GES - Geotechnical & Environmental Services, Inc.
Daniel Whitson has been a driller and environmental technician since 2007. He has completed OSHA Hazwoper 40 hr./8 hr. Health and Safety Training, AutoCAD training and holds a Class B CDL license with all endorsements. 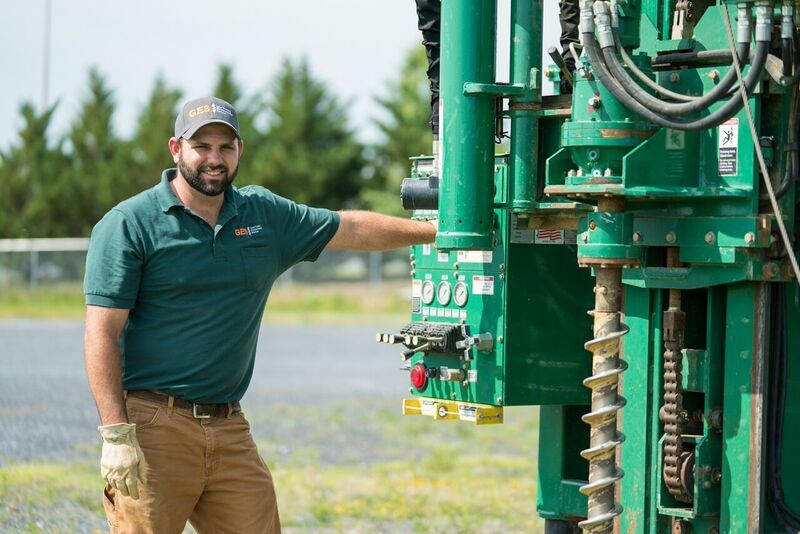 Daniel serves as the Senior Drill Rig Operator and Environmental Technician for GES at the Verona, VA office. He is experienced in all types of geotechnical and environmental drilling including set-up and operation of the drill rig, split spoon sampling, auger drilling, air rotary drilling, installation of monitoring wells, monitoring well closure activities, and decontamination of equipment. As the Environmental Technician, his experience includes Environmental Site Assessments (ESA), groundwater and soil sampling, residential well sampling, tank closures, soil and groundwater remediation investigations, vapor monitoring, and emergency spill response. GES Is Your Trusted Environmental Partner. Since 1988, GES has provided: environmental consulting, Environmental Site Assessment, drilling, emergency spill response services and much more to help their community and neighbors. Our team finds their work fulfilling and the services we provide make a genuine difference in the lives of their clients. Choose GES for your next project and breathe easier knowing reliable professionals are on the job. Are You Ready For Underground Oil Tank Removal Or Any Of Our Other Environmental Services?